The Super Six World Boxing Classic Semifinals are set to begin. Andre Ward, Arthur Abraham, Carl Froch and Glen Johnson are all one victory from the tournament final en route to 168-pound supremacy. On Saturday, May 14, Ward will defend his WBA super middleweight world title against European superstar HyeFighter Abraham to kick off the Semifinals of the groundbreaking tournament LIVE on SHOWTIME® at 10 p.m. ET/PT (delayed on the West Coast) from The Home Depot Center in Carson, Calif.
For Ward (23-0, 13 KOs), with his November victory over Sakio Bika and convincing wins over Mikkel Kessler and Allan Green in the Group Stage portion of the tournament, he enters the single elimination bout against Abraham as the tournament favorite. Ward, of Oakland, Calif., can advance to the tournament Final to face the winner of the upcoming Froch vs. Johnson Semifinal bout with a win over the former middleweight champ. ”California fans are going to be treated with what I believe will not only be a very exciting night of fights at the championship level, but witnessing the next superstar in Andre Ward. He reminds me of Sugar Ray Leonard, tough as nails, classy, charismatic with matinee idol looks,” stated Dan Goossen of Goossen Tutor Promotions. 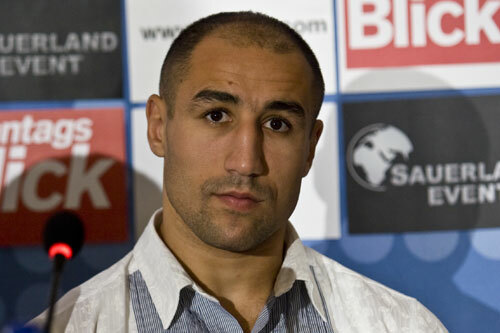 Abraham (32-2, 26 KOs), of Berlin, Germany by way of Armenia, entered the tournament as a heavy favorite alongside Kessler. But after emerging from Group Stage 1 as the points leader with a knockout win over Jermain Taylor, Abraham is now trying to bounce back from consecutive tournament losses to Andre Dirrell and Froch in Group Stages 2 and 3, respectively. With a win over Ward on May 14, Abraham, who entered the tournament with an unblemished record, can once again become a world champion and the tournament favorite heading into the Finals. Abraham, who has only fought in the U.S. twice in his career, isn’t concerned with fighting in California, Ward’s home state. Tickets for the May 14 Semifinals at The Home Depot Center will be go on sale on Wednesday, March 30, and will be available for as low as $25, with VIP floor seats priced at $200. Other tickets in the 8,000-seat outdoor stadium at The Home Depot Center are available at $50 and $100. Fans can purchase tickets, starting on March 30, at all Ticketmaster outlets and online at www.Ticketmaster.com as well as The Home Depot Center Box Office (open Monday through Friday, 10 a.m. to 6 p.m.). Groups of 10 or more can purchase tickets by calling 1-877-234-8425. The Semifinals of the Super Six World Boxing Classic will continue just one week later on Saturday, May 21, when Froch (27-1, 20 KOs) defends his World Boxing Council (WBC) Super Middleweight title against Johnson (51-14-2, 35 KOs) at a venue to be named in the near future.